Sitting on the Fence When it Comes to Solar Lighting? You'll be jumping for joy when you see how easy it is to finish off your outdoor project. Solar fence post lights by free-light are the perfect choice for home, cottage, deck or dock... anywhere you want to elevate light. free-light solar lighting products are a valuable addition to every backyard, deck, dock, gazebo and more... free-light solar lights are built tough to withstand heat, cold, rain, and snow. Not that we want to mention the "w" word (winter), but you should know the cleverly designed domed cover lets leaves and snow slide off to continue efficiently charging the light season after season and year after year. free-light Flat Rail Solar Light built to last. So easy to install, lights for up to 12 hours and has battery protection for extended life. Price is for 2 lights per package. Soft white light that is easy to see. Solar panels encapsulated in glass for long efficient life. free-light 6 x 6 Fence Post Solar Lights. Beauty is in the eye of the beam-holder. Thoughtfully designed and built to last. So easy to install, lights for up to 12 hours and has battery protection for extended life. Price is for 2 lights per package. Soft white light that is easy to see. 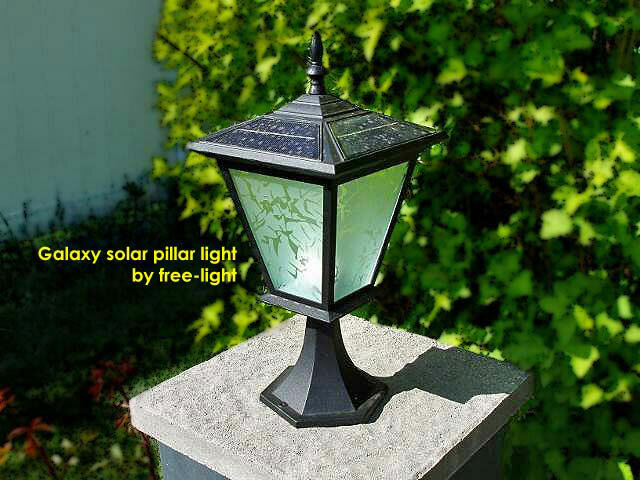 free-light 4 x 4 Solar Lighting for Fence Posts. Fence post lights built to last. So easy to install, lights for up to 12 hours and has battery protection for extended life. Price is for 2 lights per package. Soft white light that is easy to see. All free-light fence post solar lighting products are designed with solar panels encapsulated in glass for long efficient life. The domed cover lets leaves and snow slide off to continue efficiently charging the light year after year. Easy to install or change. Forget your past experiences with dim short-lived solar lights. This is solar lighting that works. If you've been sitting on the fence when it comes to solar lighting, you haven't tried free-light solar lights yet. High quality solar light products that install in minutes, brighten for hours and last for years. 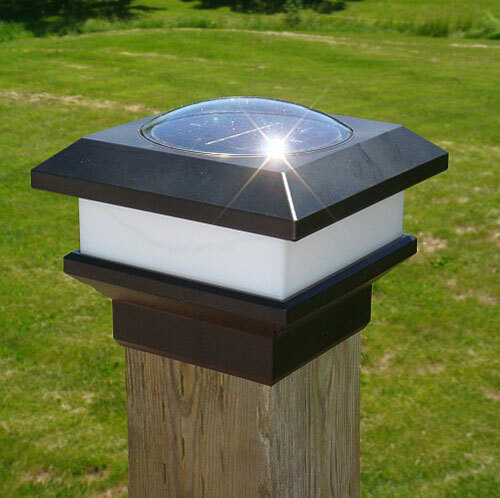 Ready for some super easy-to-install solar light markers for stairs, steps, docks and more? Take a look at Navigator. Drill a 1.375" hole and install the light. Navigator's flush fit ends stubbed toes and twisted ankles. It is the perfect way to draw attention and dress-up stairs, steps, docks, decks, railings, gazebo, arbors or patios. Free-light products install in minutes, brighten for hours and last for years. Four lights per package... in white, blue, and red. Browse the free-light catalogue of quality outdoor solar lights today and get your yard looking its Sunday best every day of the week!